We caught it early, it’s stage 1, they removed enough tissue to have clear margins, my lymph nodes came back negative for cancer. I have some complications from the surgery that I'll go into later but I have to keep my drain tube in for another week. I have some new drugs to try to help manage the pain better. 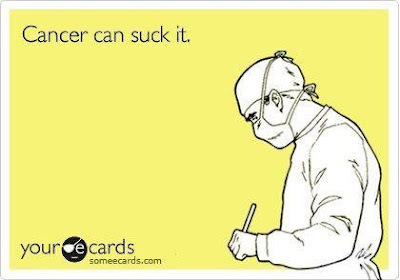 I meet with my oncologist next week to see what the next steps are. I’m really hoping I get to skip chemo and radiation and go straight for the drugs that cause menopause! Woo hoo, bring on the hot flashes. Ugh. Love hearing all the positives!!! That's amazing to hear. PTL 🙏 Prayers answered! Amazing news. So glad to hear.